This week, the PGA Tour will travel to Town and Country, Missouri to wrap up the final major of the year, the PGA Championship. This year’s host, Bellerive Country Club, was designed by Robert Trent Jones, Sr. in 1960, and was later renovated by his son, Reese Jones in 2005. Some of the more impactful features of these renovations include the repositioning of fairways and bunker complexes, enlarging the putting surfaces, and expanding the lake on #2 to create a risk-reward tee shot. Major Championships played at Bellerive have been scarce, previously hosting only The U.S. Open in 1965 won by Gary Player, and the 1992 PGA Championship won by Nick Price. This year, Bellerive Country Club will play as a 7,316-yard par 70 which will put a premium on ball striking and finding fairways, especially with the thick fescue rough and strategic bunkering that will be sure to punish miss-hits. 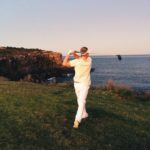 For Bellerive, we focus in on certain players’ tendencies and statistics that we believe will provide the best chance to win the final major of the season. Some of these key stats include, but are not limited to: Driving Accuracy, Strokes Gained: Approach, Proximity to the Hole, and Three-Putt Avoidance. Many of the holes have been designed with fairway bunkers, and hazards that “pinch” the landing zones, driving the ball with precision will be pivotal. From there, players will need to dial in on their approach shot as the average size of the greens at Bellerive are 8,200 sq. feet, ranking amongst the largest at a major. Due to the size of these greens, proximity to the hole and the player’s ability to lag putt will play an important role in having success. For many of these reasons, we have selected players from each salary tier that you should consider when making your DraftKings lineup. Justin Thomas ($9,700) – Coming off of a victory at the WGC Bridgestone Invitational, the world’s No. 2 Justin Thomas will use that momentum to defend his title at the PGA Championship. As one of the tour’s most well-rounded players, Thomas ranks 3rd in Strokes Gained-Approach, 3rd in Scoring Average, and 2nd in Strokes Gained: Tee-To-Green. He is motivated to go back to back, and we will likely see him in contention on Sunday. Tommy Fleetwood ($9,300) – One player who will be eyeing down their first major is Tommy Fleetwood. In addition to making 23/25 cuts this season, Fleetwood has ten Top 10’s and has played well in all of the Major Championships this year. 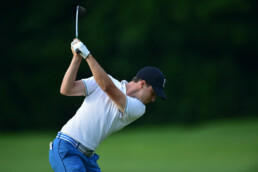 He finished 17th at the Master’s, 2nd at the U.S. Open, and 12th at the Open Championship. Fleetwood’s last three tournament finishes are 12th, 6th, and 14th, and we expect him to have a shot to make his mark on history this week. Jason Day ($9,000) – At an excellent price this week, Jason Day has all of the tools necessary to pick up a victory at Bellerive Country Club. He ranks 2nd in Strokes Gained: Around-The-Green, 1st in Strokes Gained: Putting, 8th in Scoring Average, and 11th in Three-Putt Avoidance. Jason Day is accustomed to the big stage of a major championship, and if he can get the putter rolling early then expect to see him towards the top of the leaderboard on the weekend. Henrik Stenson ($8,700) – Another great mid-tier pick this week is Henrik Stenson. Not only does he have two Top-10’s in majors this year, Stenson ranks in the top percentile in many of the targeted statistics this week. He ranks 5th in Three-Putt Avoidance, 2nd in Driving Accuracy, 9th in Proximity to the hole, and 2nd in Strokes Gained: Approach. With his accuracy off the tee and stellar iron play, look for Stenson to be a threat this week. Tony Finau ($8,100) – One player who has peaked our interest each of the last few weeks is Tony Finau. He has finished in the Top-10 in all three majors this year, and we believe he is due for his first win. Finau ranks 22nd in Strokes Gained: Approach, 13th in Scoring Average, and 3rd in Driving Distance. If he can find the fairways this week, there’s a very good chance that he will find himself in one of the last few groups on Sunday. Ian Poulter ($7,400) – Poulter’s iron play will be a significant factor this week as he continues to strive for a Ryder Cup spot. He comes into the week ranked 20th in Strokes Gained: Approach, 17th in Proximity to the hole and 38th in Three-Putt Avoidance. With Poulter’s current form, finishing 12th at the RBC Canadian Open and 10th at the WGC Bridgestone, he should be able to work his way into contention and at worst put up a Top-20 finish. Luke List ($7,100) – This week’s sleeper pick is Luke List. With six Top-10’s on the season, he is a player that you should consider putting in your lineup. List ranks 3rd in Strokes Gained: Off-The-Tee, 15th in Strokes Gained: Around-The-Green, and 4th in Driving Distance. If he can piece it all together and continue to hit the long ball in the fairway, he could pave the way for a strong finish in the final major.